Kartell K-Vit Astley Traditional Freestanding Bath - Only £439.99! In stock now for just £439.99 including VAT! Hurry while stocks last! The Astley Traditional Freestanding Bath from Kartell K-Vit offers a timeless elegance that would make it a stunning centrepiece for any bathroom. 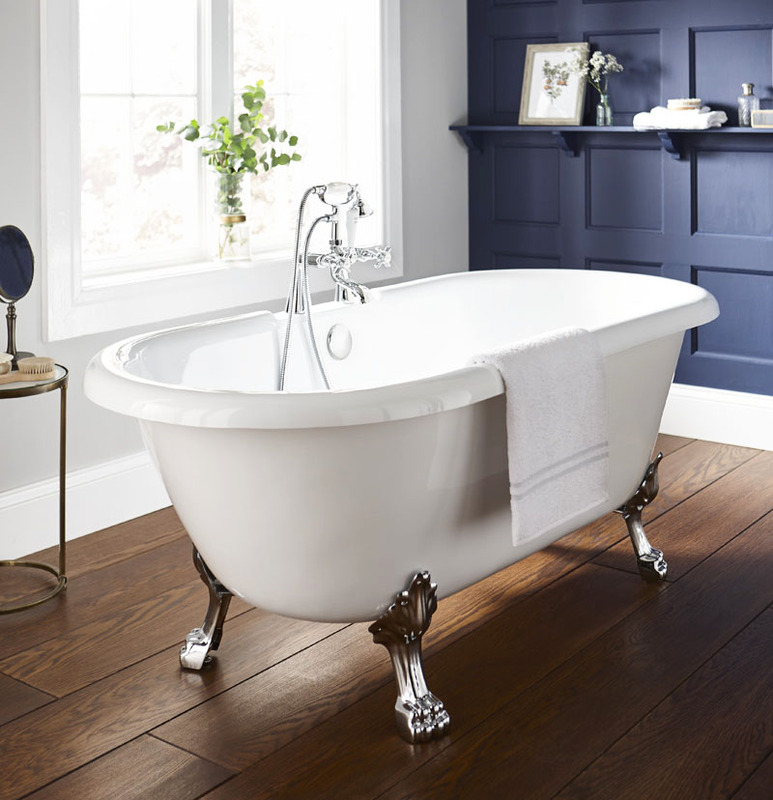 Thanks to its eye-catching vintage looks, this great value freestanding bath is one of the most popular in our range. Crafted from the finest materials to the very highest manufacturing standards, this bath features a fully encapsulated baseboard for added strength and rigidity. This, coupled with the superb 25 Year Guarantee, provides complete peace of mind as well as a luxuriously relaxing soak. These stunning traditional freestanding baths provide timeless elegance and character to any bathroom. As with many of the finer things in life, the best never goes out of style - this has never been more true than with our range of traditional freestanding baths. With a range of stunning Victorian era inspired designs, the bathtubs below are the perfect choice for any bathroom renovation. Truly eye-catching, stunningly finished, crafted to the highest quality using only the finest materials, and available at a truly superb price, these baths will be the envy of your neighbours. Designed to provide the most relaxing bathing experience possible, these excellent traditional freestanding baths are shaped to offer maximum bathing room. Covered in a deluxe acrylic finish, these baths will retain heat superbly and feel soothingly warm to the touch.